As much as I'm trying to hold onto the summer, I think it's pretty clear from the way it looks outside that Autumn is well and truly on it's way, which means lots of things to look forward to. In fact, as I write this post I've got a chunky knitted jumper on and it's looking very grey and miserable outside, I am not looking forward to the school run in a little while. Autumn has to be, by far, my favourite season of the year. There's nothing quite like looking at the changing colours of nature, the fresh crisp air, chunky knits, tan boots, cinnamon scents, and not forgetting berry coloured lipsticks. I'm definitely looking forward to snuggling up in blankets and reading a good book whilst watching the rain outside in the coming months and so in the name of the excitement and in the hopes that it inspires you, lets welcome the Autumn. Now that we have said goodbye to the sunshine, beautiful blue skies, and all those summer adventures we can begin to welcome the colder weather, cosy evenings and snuggles. With snuggles, an essential must have that you need in your life is most definitely a luxurious thick and fluffy blanket. Some days we like to drag our duvet downstairs if we want to be particularly cosy, although this results in an afternoon snooze. However a nice cosy blanket normally does the trick. Last year we were kindly given a super fluffy blanket, but we have use it that much the fluffiness has disappeared so we need a new one. Feeling a little more indulgent when it comes to a new blanket I have found the one from Laura Ashley, Anastasia Whisper Blanket that will match our current decor, so it's a must buy really. So if we are staying with the theme of cosiness, let's talk about ways in which we can go that one step further this Autumn and get extra comfy. When it comes to being comfortable, everybody is different. Some like to add a new blanket or pillow to their current decor, some enjoy turning the heating up and some like to indulge. By adding a new rug, or curtains can make all the difference to your home to help make it feel more comfortable. This month we have made a few purchases for our home to get ready for Autumn and Winter, including a brand new sofa that you literally sink into as soon as you sit down. Someone else who likes to get comfortable is Fenetic Wellbeing, a company that provides individual mobility solutions for people, and they have asked me to be part of their #RelaxAndRecline campaign I couldn't say no really. I am always up for a cosy evening and this campaign is all about the good things that come with welcoming the Autumn comforts such a chunky knits, hot chocolate, blankets and of course, a comfy recliner to snuggle up on. Being a blogger requires a lot of time sat writing on my laptop, but as Autumn is well and truly here it makes sense to alter my working space a little and with the help of Fenetic Wellbeing, I may have the perfect solution. A beautiful swivel reclining chair would be the perfect addition to making sure that I am comfortable. This office chair looks so comfy and even comes with a massage and heat functions, so what could be better than that. In our spare room we have decorated with simplicity in mind and the cream chair would be great way to add a decadent touch to the room. The cold weather autumn gives you an excuse to cook hearty stews and sip on mugs of hot chocolate - with marshmallows and cream, of course. Not forgetting that Starbucks have launched their Pumpkin Spice Latte and drinking indulgent drinks is an absolute must have for Autumn, forget the calories. With the Autumnal drinks comes with array of new vegetables that you can try and use, such as pumpkins and butternut squash. Talking of pumpkins. Autumn also means a trip to a pumpkin patch with my little one, which I am way too excited for. Candles just make a cosy night in, there is nothing better than filling your space with the sweet aroma of your favourite scent. My favourite scent at the moment has to be this Lemongrass & Verbena Exquisite Candle. I was kindly sent this beautiful candle. Bright citrus notes with with verbena. Blended with notes of melon, rose and jasmine. Fresh vibrant and uplifting. There's nothing I enjoy more is waiting until the little lady goes to bed and relaxing with a nice bubble bath and candles and so it seem as if receiving this candle was telling me that I needed to some time out to rest and recuperate. 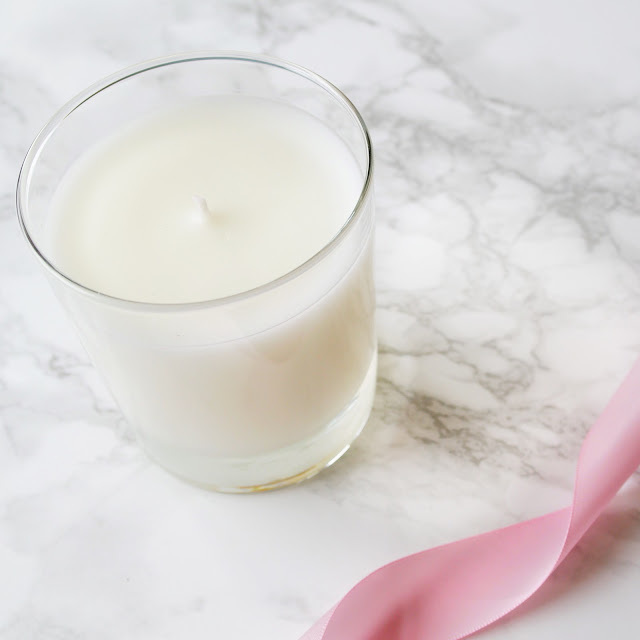 As soon as I opened the box to the scented candle I could instantly smell the lemongrass, it was so refreshing as I was running a bath I could definitely notice the scent in the bathroom, however this got stronger as I lit the candle. Another great thing about Autumn is that you simply have the best excuse for staying in and have a snuggle instead of braving the cold. Evening television become more interesting and that's pretty great for me. It's the whole 'do we watch X-factor or Strictly?' on Saturday, the choice is very hard! What camp are you? When these are over, it's Netflix time! Is there anything more necessary in life than a quality Netflix binge every now and then? It's a time to unwind on the sofa with loved ones maybe some popcorn and a glass of wine, while you're at it. Of course, if you're looking to get lost in a TV show or film together, your faithful companion is your good old pal Netflix. Luckily, the service has something to offer for any and every situation. What do you normally do to welcome in the Autumn? 14 comments on "Welcoming Autumn with FENETIC WELLBEING*"
Yes, my little one loves a hot chocolate! Autumn is a busy time for us - Paul's birthday was yesterday, then it's our anniversary, Hugo's birthday, then mine! In between we have Halloween an Bonfire night too - we love this time of year!! WOW! You will be a busy bee! II am going to attempt to making a pumpkin pie this year! All new exciting adventure for you this year! Well that sounds amazing! Yummy! We enjoyed kicking the leaves this morning! I love Autumn! It's my birthday which means that I demand to be treated like the Queen and stretch out my birthday for at least a couple of days, if not the week! I also love getting cosy indoors with blankets. Why not! I tend to do the same! It's the perfect time of year!